Ok guys, we are not talking about great sound right now, but we have to admit, that some very funny looking speakers recently crossed our path. We had a good laugh seeing them and there might be situations, where they can be a funny gift or a good solution for kids. Close your ears and open your eyes, here they are: Our top ten of the most creative speakers on the market right now. Summer is already there and nobody can say no to ice cream. These transportable speakers are designed for the sun-loving person, who loves to listen to music, while getting sunburned at the beach. What song to play with? You are looking for something, that is going with the dog lover as well as the music lover deep inside you, check out these very special ceramic speakers, design by Matteo Cibic. Well, we guess, there are some kind of speakers, that just sound like they look. But maybe these ones are the best to play the songs you never liked anyway. If you ever dreamed about looking like a ridiculous rapper doing your weekly supermarket shopping, you should think about getting this bag with integrated speakers. Did you ever dreamed about seeing a monkey dancing to a Alice Cooper song? Here is your chance. This little fella is moving as soon as you plug it. Yes, its useless but come on … we have noticed that little smile on your face. Unfortunately this project never came to life but even if there are many bike speakers on the market, these ones have a great design and we can see ourself playing highway to hell on the way to … well, that’s another story. Three things, we would take on a lonely island. 3. Who needs number three if you have music and Lego? Well, if the plan with the pool doesn’t work out, we can still go for the bath tub. This entry was posted in Uncategorized on June 19, 2015 by Daniel. Some people claim to have a hardware available that is able to playback 384kHz files on an I2S sound card on the Raspberry Pi. They explain, there is “some stuttering”, because “the Raspberry Pi is not fast enough”. Really? Let’s have a look on the facts. The original HiFiBerry DAC (designed in 2013) already used a DAC chip that was able to run at 384kHz sample rate. Why was it never announced as 384kHz DAC? Because the whole driver infrastructure does not support it. 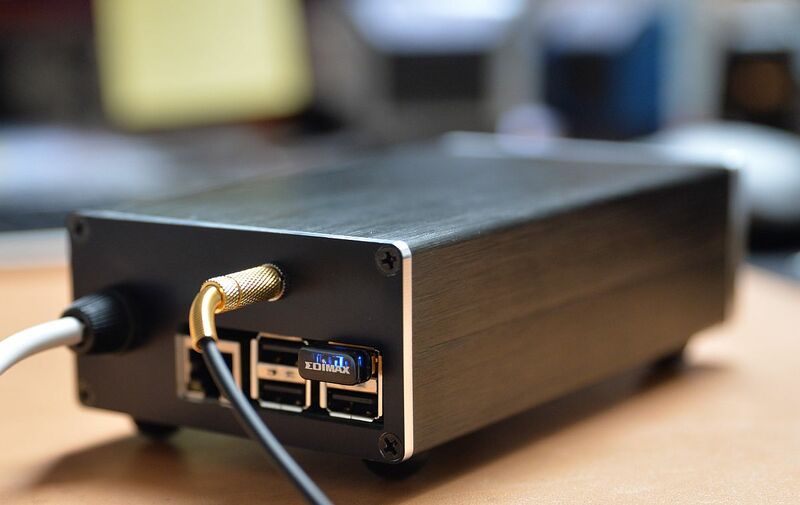 It is not a question of the speed of the Raspberry Pi, but a general limitation of the ASoc sound subsystem. These are the sample rates that the ALSA layer supports. How can it be that some people claim 384kHz support? Downsampling! That means the sample rate of a 384kHz file will be reduced before playing it back. I don’t know, if they don’t know that they do downsampling or if they don’t tell. I let you decide which is worse. However, not having 384kHz is an non-issue. While there are a lot of discussions if there is an improvement of the sound quality from 48kHz and 192kHz, I don’t know anybody who claims, that 384kHz playback gives you better sound quality than 192kHz. If you are looking for a proven 192kHz capable sound card for the Raspberry Pi, check out the HiFiBerry DAC+. This entry was posted in Uncategorized on May 30, 2015 by Daniel. I have some bad news today. As I’m very busy with the HiFiBerry business I don’t have the time anymore to sell and support PCBs in the crazy-audio shop anymore. I plan to release the Gerber files in the future to allow crazy-audio readers to order their own PCBs from a supplier of their choice. However this also takes some time and it is not on my top priorities at the moment. Therefore I ask you for some patience. This entry was posted in News on December 3, 2014 by Daniel. This is not one of my own projects, but it is so cool that I want to show it here. 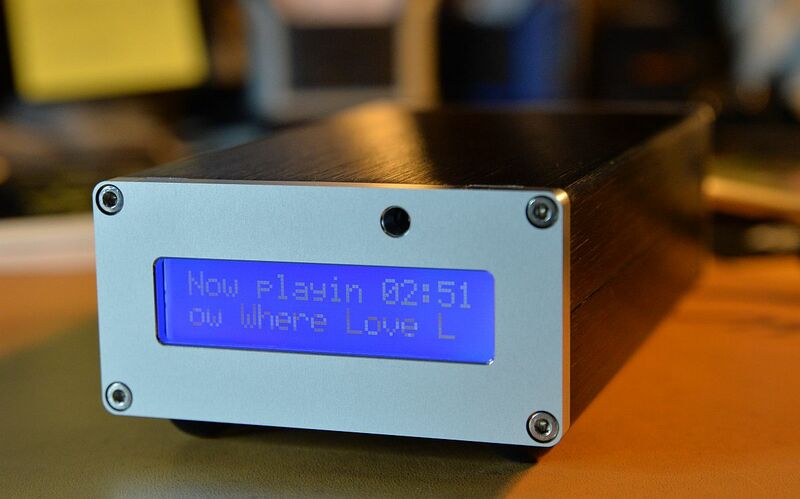 This HiFiBerry DAC+ user has created a very cool Squeezebox replacement including a LCD display and infrared remote control. If you want to learn more, you can ask him about details in the HiFiBerry forum. This entry was posted in Uncategorized on November 7, 2014 by Daniel. If you want to have different programs sending their output to the same sound card (like the HiFiBerry DAC+) on the Raspberry Pi you might run into problem. The I2S sound system allows only exclusive access to the sound subsystem. The solution for this and some other issues is PulseAudio. It creates an additional abstraction layer that allows different sound sources to use is simultaneously. unfortunately the Raspbian pulseaudio package does not include some resamplers. I was not able to use the “ffmpeg” resampler with it. Therefore I decided to build my own pulseaudio package. This also allows to use PulseAudio 5 instead of version 2 that it part of the Raspbian distribution. This will install not only these packages, but also a lot of dependencies. Note that I did not install the X11 headers as Pulseaudio will run in systems mode. Now you can get, extract, configure pulseaudio. Make sure you have everything that you need compiled in. The alsa-module is the most important, but you will also need at least libsamplerate. Now compile and install pulseaudio. It will be installed to /usr/local. If you compile it at the Raspberry Pi, you have some time for a coffee. Crosscompiling on a PC is much faster, but also much more complicated, therefore I would not recommend this. Pulseaudio will run in foreground. This has to be changed later, but it makes debugging much easier. Have a look at the output. 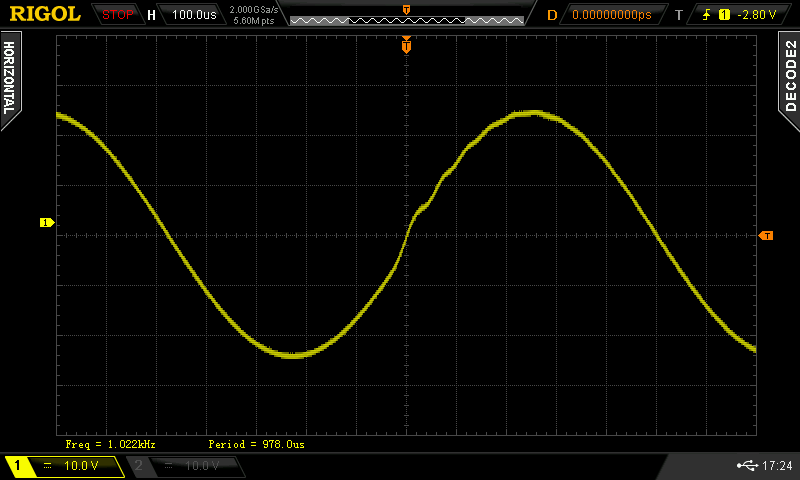 If Pulseaudio is working correctly, you will see the AO: [pulse] as output device. However there are some issues, the major one is resampling. To make sure that different sound sources can be mixed all have to be synchronized to a common sample rate. This is not a big problem if you use only 44.1 and 48kHz, but if you also want to playback high-resolution music you will run into trouble with the Raspberry Pi. What is the reason for this? The biggest issue is that the Raspberry Pi CPU is not very powerful and resampling is a relatively complex procedure. My audio analyzer shows almost 3% distortions! This is not a good method to use if you’re interested in high-quality audio. Ok, let’s look at other resamplers. The “src-sinc-…” resamplers are too complex. Even the “src-sinc-fastest” is too complex for 192kHz material. The “src-zero-order-hold” resampler performs as bad as “trivial”. The two resamplers that perform quite well are “src-linear” and “ffmpeg”. While distortions are a bit less with “src-linear”, “ffmpeg” used less CPU. As distortions are still quite low with “ffmpeg” I recommend this for resampling. Ok, we found a resampler that works. But what should be the target sample rate? Down to 44.1 or 48kHz or up to 192kHz? Some people will argue that frequencies above 20kHz are not audible and therefore 44.1kHz or 48kHz are enough. While I don’t want to discuss pros and cons of high-resolution audio format here, there are some other details to think about. 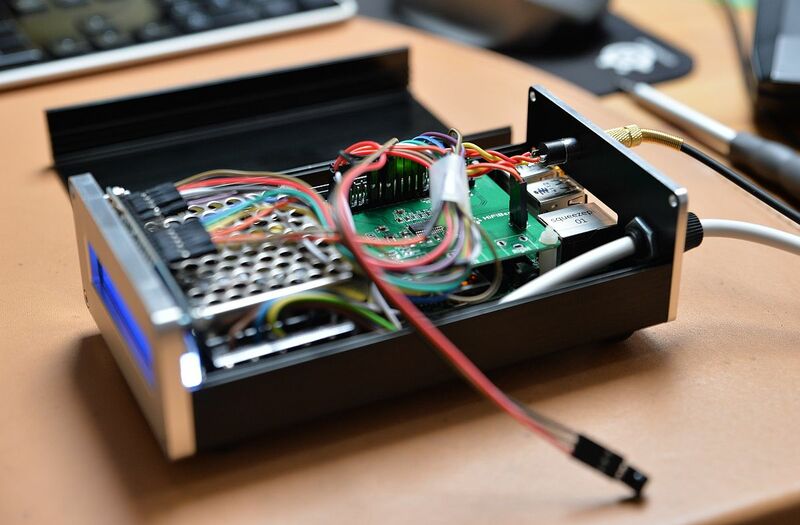 With a sound card like the HiFiBerry DAC+, the clocks are generated from the Raspberry Pi. This works quite well, but different sample rates provide better clocks to the DAC than others. The DAC shows the best performance at higher sample rates. Therefore the distortions will be lower with upsampling to 192kHz than with downsampling to 44.1kHz. There is also another effect: Playback of lower sample rates does not need a lot of processing. There is more processing possible than with 192kHz material. Playing back 192kHz material with its native sample rate does not need resampling. This balances processing power between the playback software and Pulseaudio. All other settings use the defaults. Setting up Pulseaudio on the Raspberry Pi with support for high-resolution sound formats is not trivial. 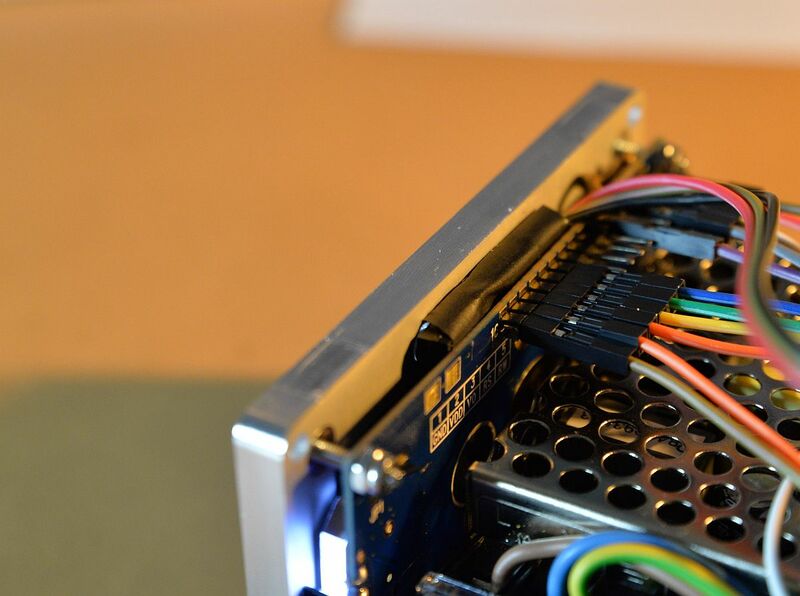 However by using the right sample rates and the right resampler, it will perform well even on the Raspberry Pi. With the configuration shown here Pulseaudio uses about 50% CPU when playing back 44.1, 48kHz and 96kHz material and 20% during playback of 192kHz streams. This entry was posted in Uncategorized on September 14, 2014 by Daniel. Today I had some time again to work on the new speakers for the living room. Great sound is a must, but it also has to be accepted by everyone in the household. Therefore I can’t use speakers like the 10-34. I wasn’t sure about the color, so I build 2 versions: a green and a white one. I really like the green, but unfortunately it doesn’t really fit with the other furniture in the living room. Looks like I will go on with the white one. The surface is synthetic leather. This is a good material for all people who have problems to get a good finish with painting. It is relatively easy to use. 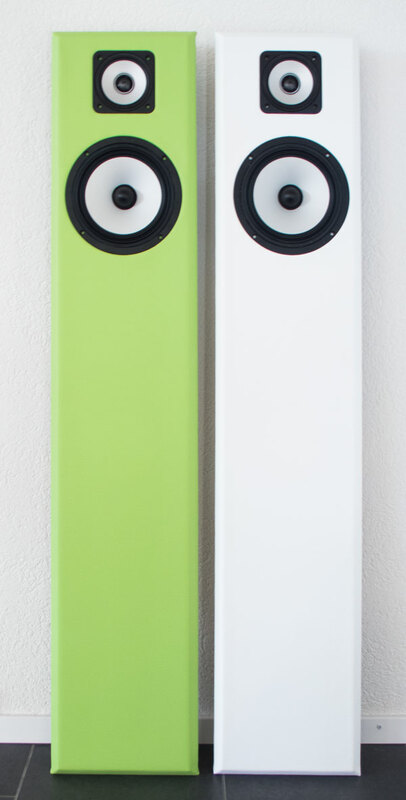 The speaker itself is a 3-way system. It will be powered by an HiFiBerry Amp. This entry was posted in Uncategorized on September 13, 2014 by Daniel.